Fritz Besenbäck is an excellent wood carving artist. Doing a creative course like this at his place in the forest, that would certainly be something! Fritz lovingly looks over his creations. He modestly says that ‘the wood already has everything’, and as an artist, you simply need to do what it says. Of course, many years of practice and perfectionism went into his works, the mastery of which is evident when comparing his creations with my own prior attempts at wood carving. 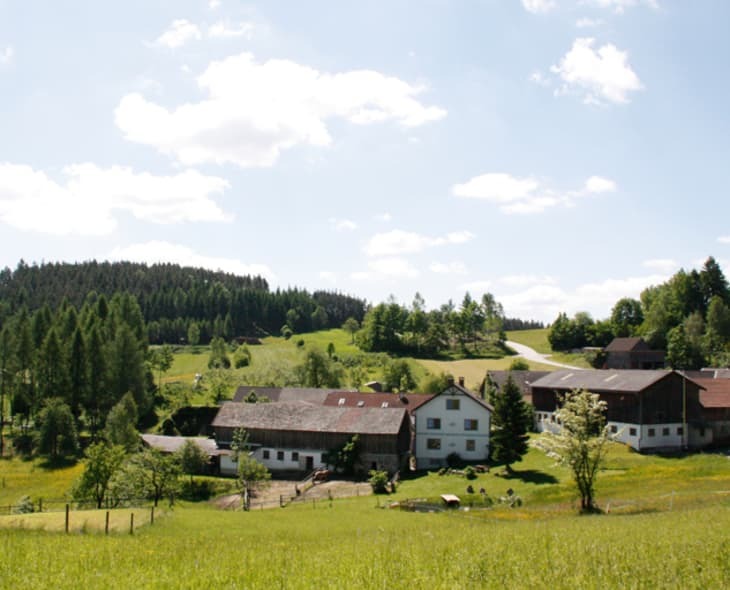 Awe-struck, I look around the Besenbäck family’s organic farm, dotted with Fritz’s works. The family’s long tradition of friendly hospitality is evidenced by Grandpa as well, as he takes me by the hand and leads me to a week-old calf in the barn: ‘Look!’ What a peaceful experience: The little calf is dozing on his straw bed, surrounded by his mother and “aunties and cousins”, watching over him.